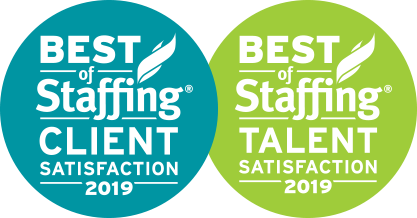 Cranberry Township, PA – February 7th, 2019 – SSI, a leading employment agency in the IT, Engineering, and Professional labor categories, announced today that they have won ClearlyRated’s Best of Staffing® Client and Talent Awards for providing superior service to their clients and placed talent. 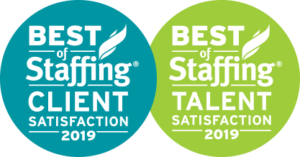 Presented in partnership with CareerBuilder, ClearlyRated’s Best of Staffing winners have proven to be industry leaders in service quality based entirely on ratings by their clients and the candidates they’ve helped find jobs. On average, clients of winning agencies are 2.2 times more likely to be completely satisfied, and candidates who have been placed by winning agencies are 1.7 times more likely to be completely satisfied with the services provided compared to those working with non-winning agencies. Less than 2% of all staffing agencies in the U.S. and Canada have earned the Best of Staffing Award for service excellence. Focused on helping to connect people with the right job openings at US companies, SSI received satisfaction scores of 9 or 10 out of 10 from 73.8% of their clients and 79.4% of their talent, significantly higher than the industry’s average.